We have lots of stuff here around the home that needs fixin' at any given time. We've managed to come up with some pretty creative solutions to save a buck or two. 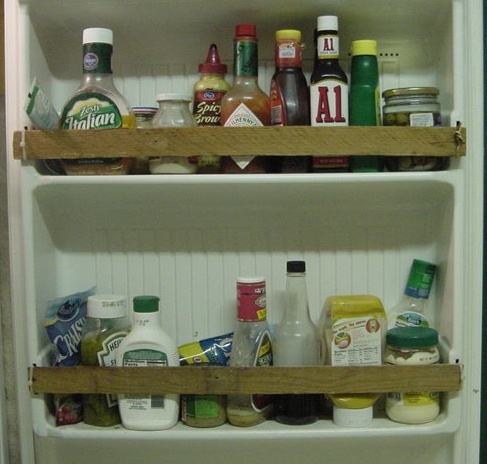 When the retaining bars in the refrigerator door broke, my husband used some wood scraps and plastic zipper ties to make some new ones. They work great and have a unique rustic look to boot. When my oven door stopped closing all the way, I came up with the idea to put industrial magnets between the seal and the door. Keeps it shut and only cost $2.00. Oh man, I dread when it's time to sell this joint.